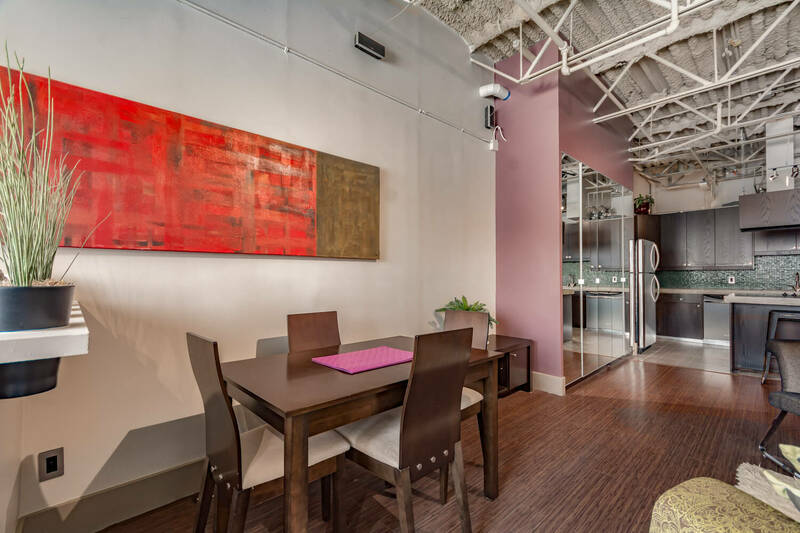 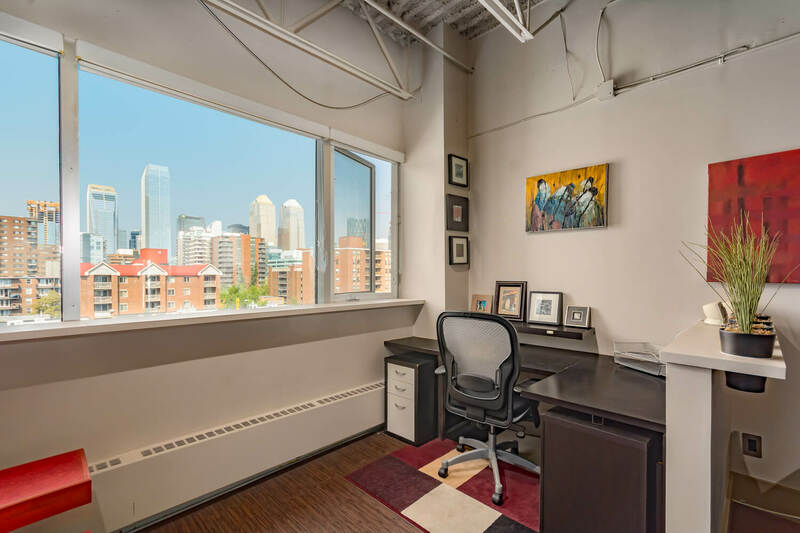 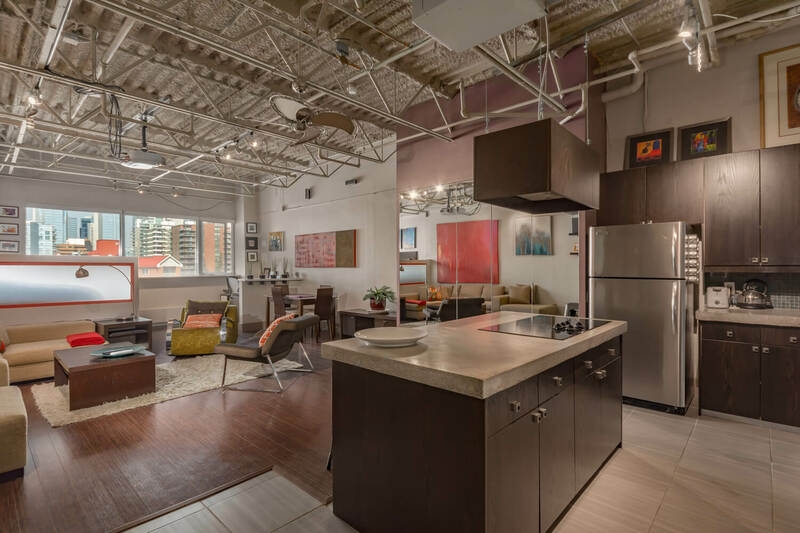 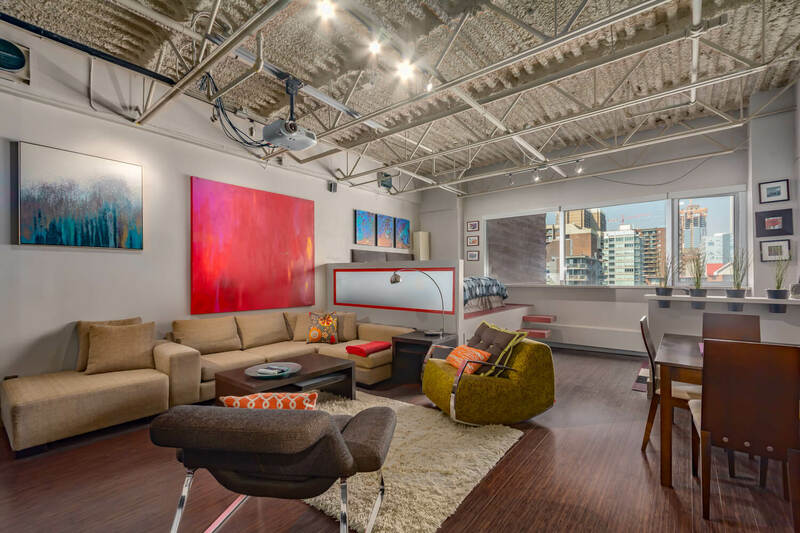 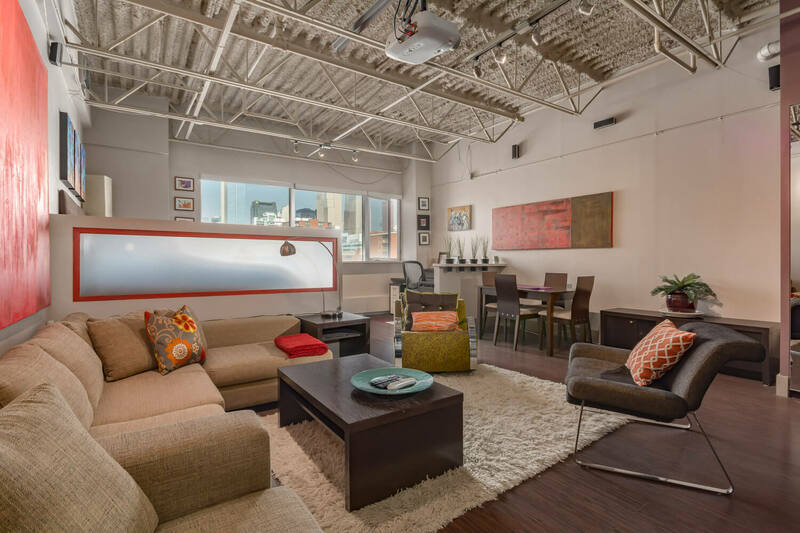 With soaring twelve-foot ceilings and exposed duct work, this unit exudes style and sophistication with an industrial, warehouse flair. 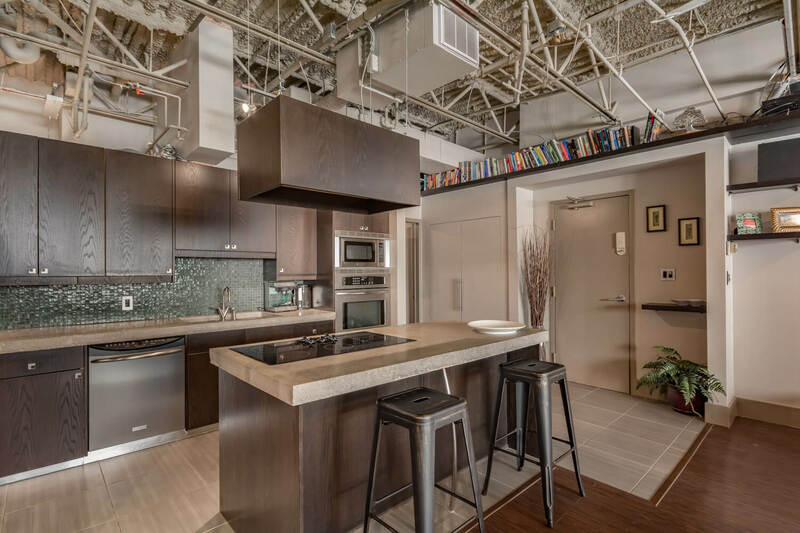 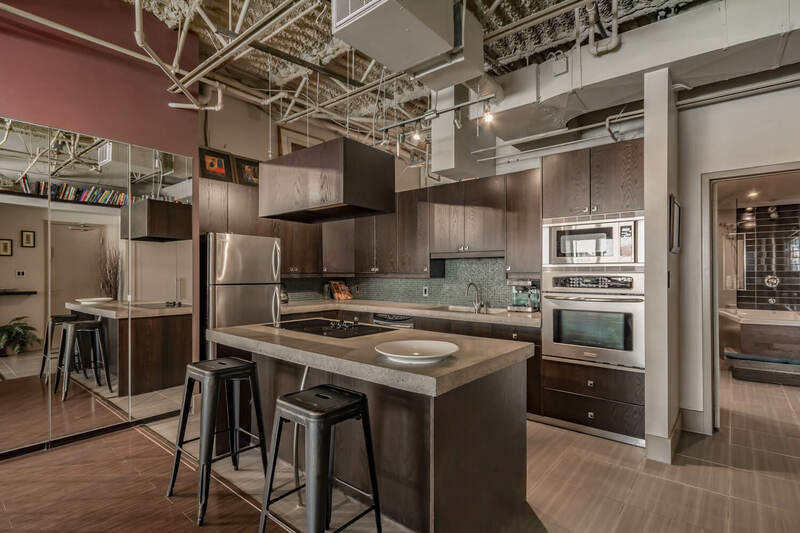 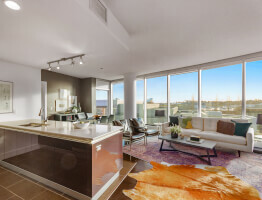 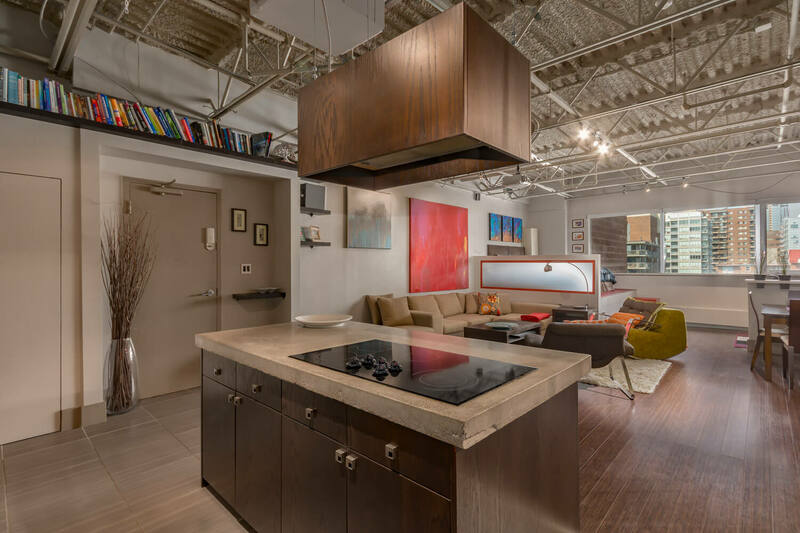 The open concept living and dining area blends harmoniously with the spacious kitchen that features a large island, poured concrete countertops, stainless steel appliances, and signature cabinet-fronted hood fan. 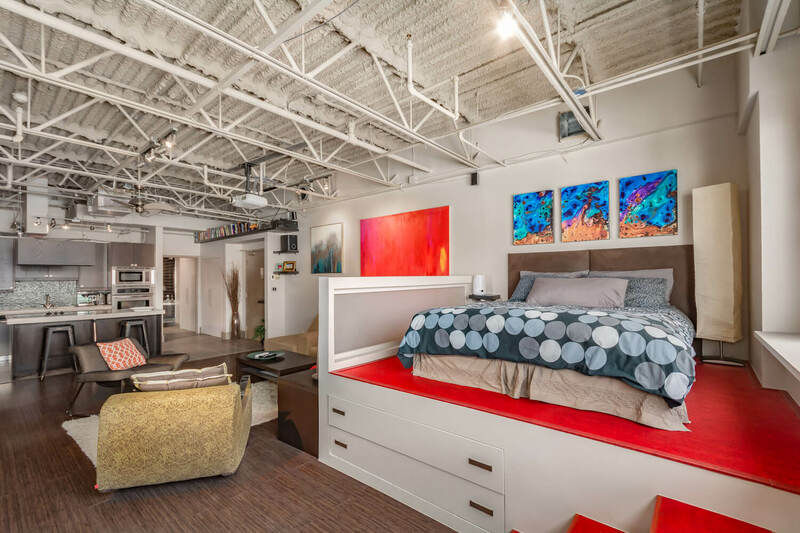 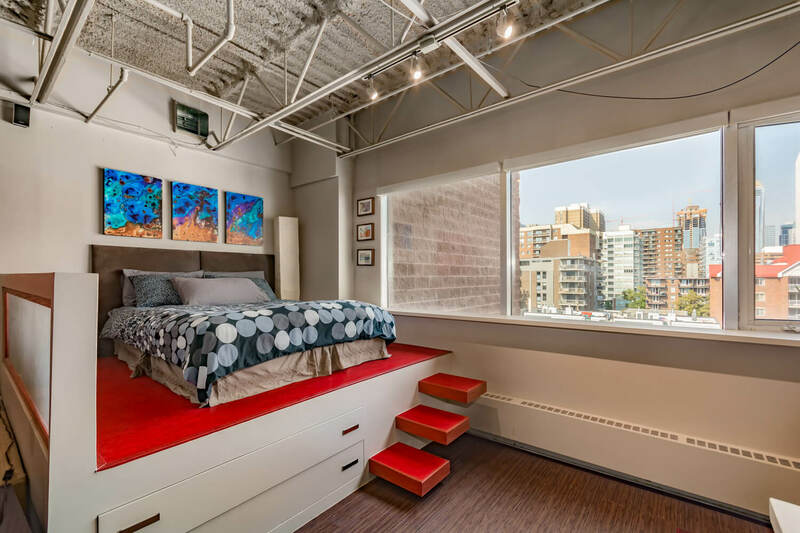 The built-in lofted platform bed offers plenty of hidden storage and a panoramic city view to wake up with. 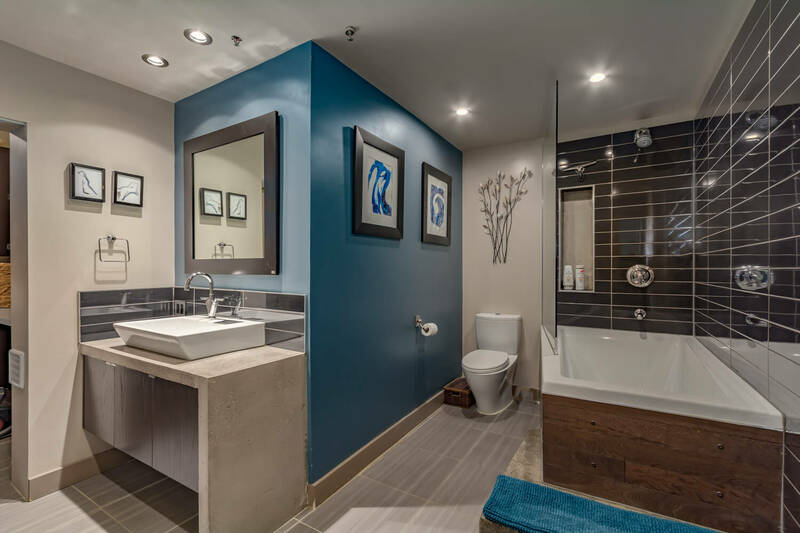 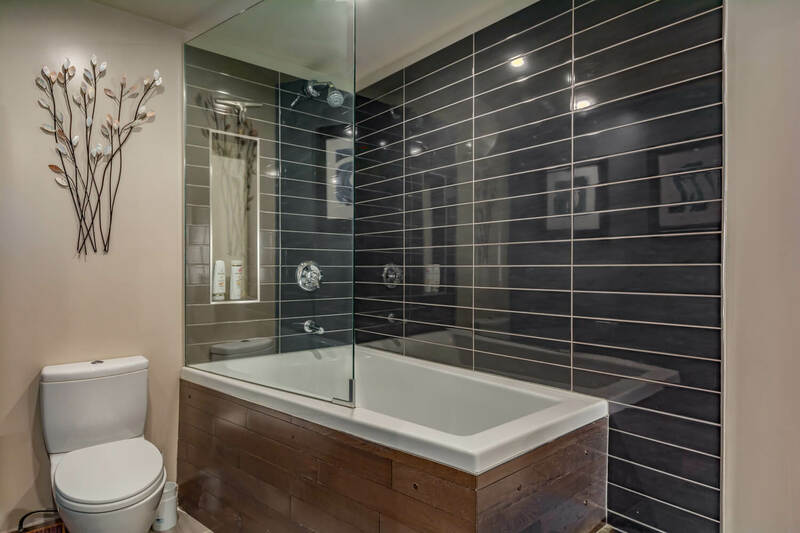 An upscale four-piece bathroom hosts a beautiful deep soaker tub and glass shower while providing walk-through access to a separate laundry & storage room. 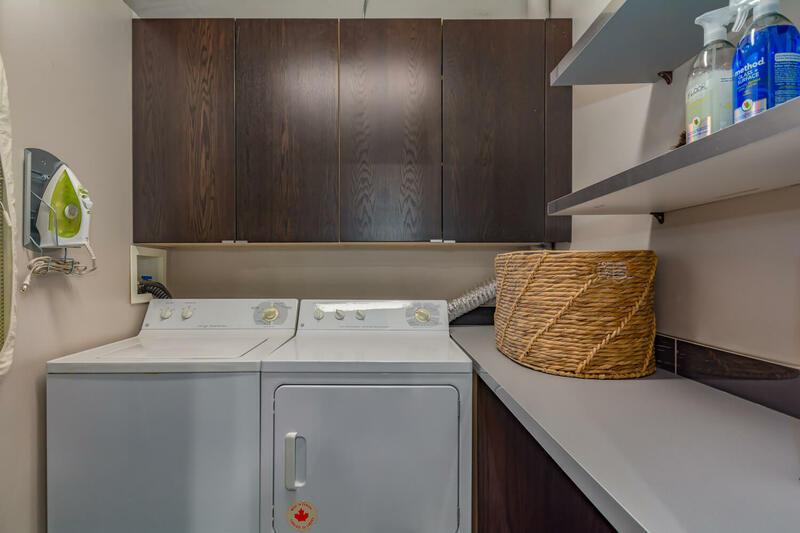 Also note an underground assigned parking stall and electricity is included within the condo fees. 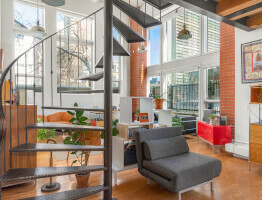 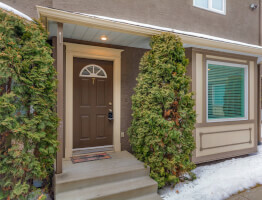 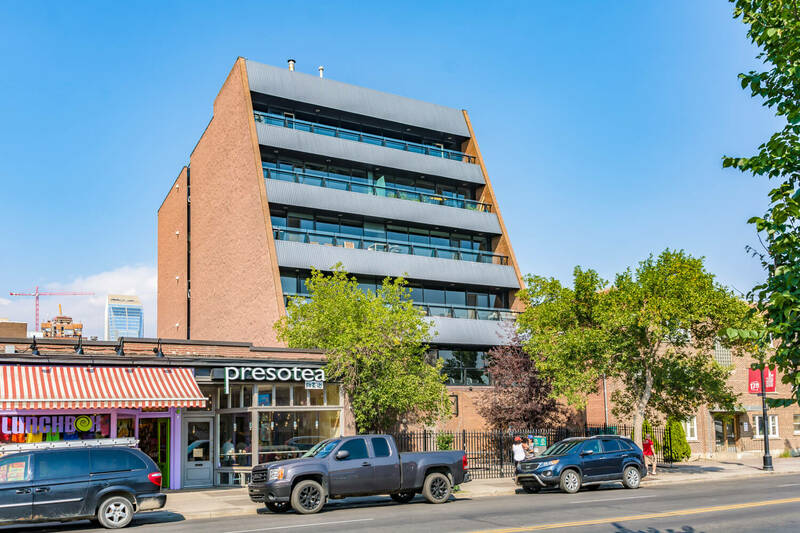 Live in the heart of it all with some of Calgary’s best shopping and dining on your doorstep, while enjoying the convenience of a walk-to-work lifestyle.